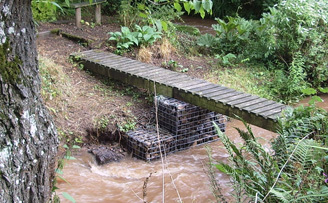 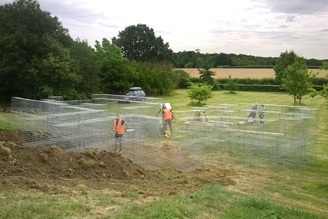 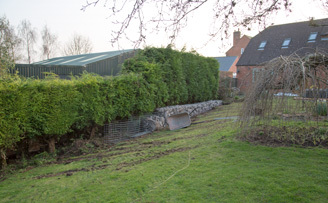 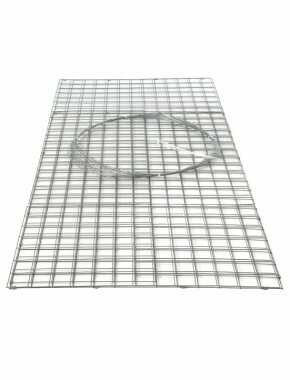 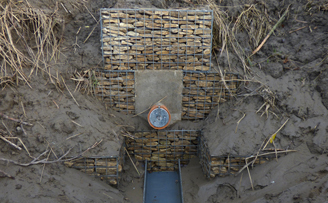 gabion Galfan 3mm 1.5m x 1m x 0.5m 3(in) x 3(in) (76.2mm x 76.2mm) x 3mm Galfan coated (95% Zinc 5% Aluminium for up to 4 times the life of a galvanised finish) welded mesh Gabion baskets wire as per EN 10218-2. 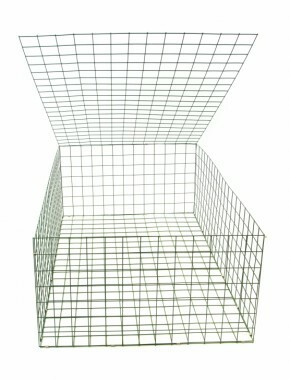 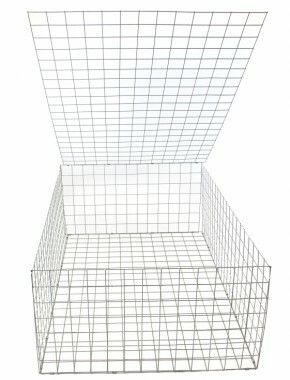 All mesh panels used to produce our baskets are European sourced and conform to EN10244-2 with a tensile range of 540-770N/mm2, steel grade 0.10% Carbon max, Weld sheer strength minimum 75 Can be used for gabion, wire basket. 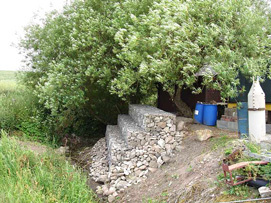 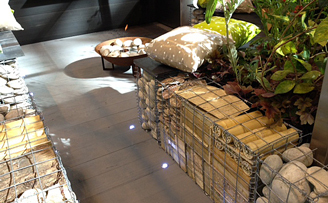 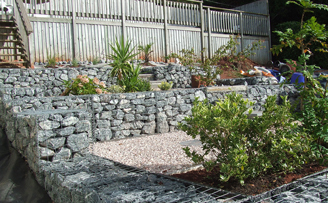 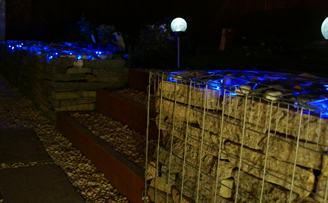 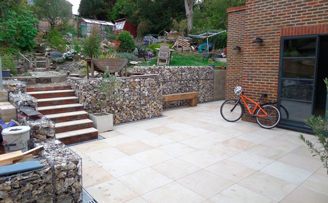 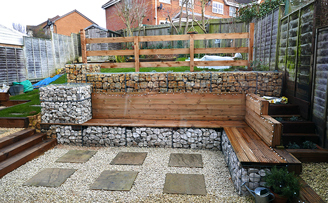 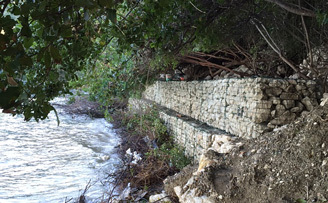 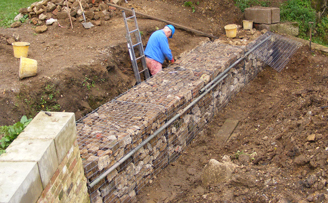 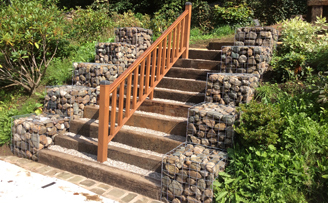 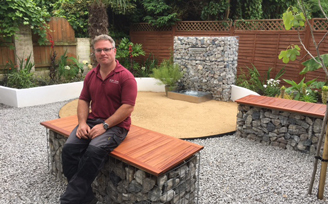 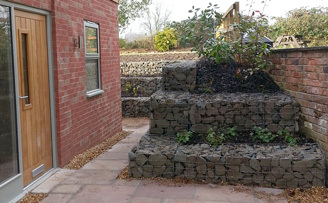 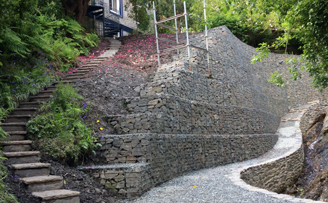 I bought a mixed set of gabions to terrace a very steep garden, and they have proved very satisfactory, and were easy to install. 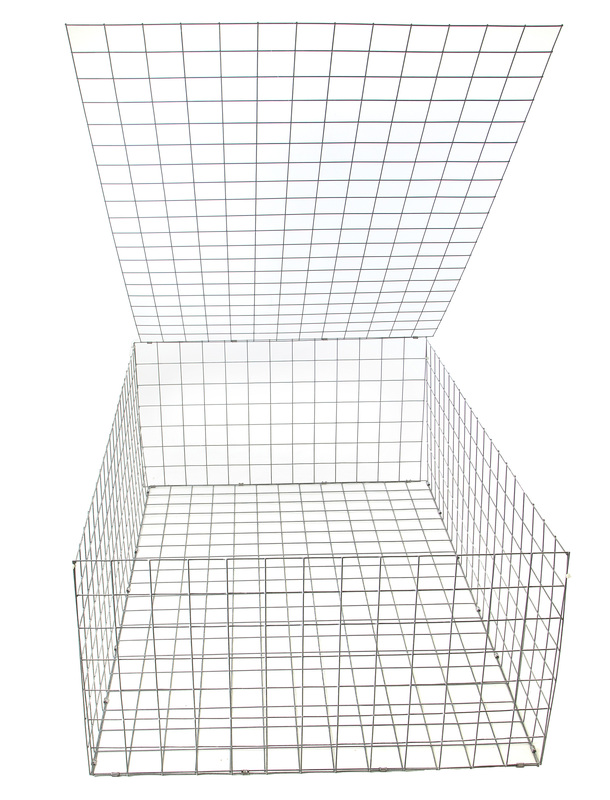 Prices per unit were competitive and the company delivered using next day delivery. 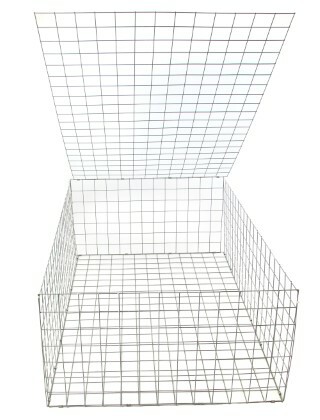 However, considering they use a standard carrier, and the units are flat-packed, the delivery cost seemed outrageous. 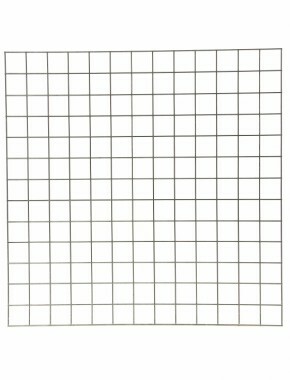 The moral is to make sure you order all you need in a single order!